Go to Abobe Fonts site and log in or create an account if you don’t have one already. 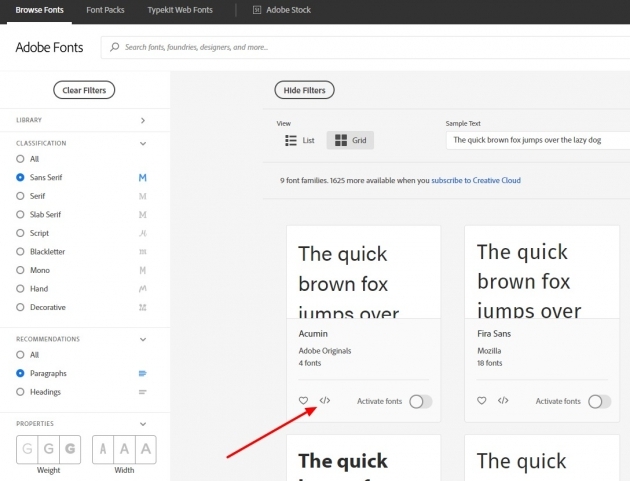 After login, simply browse fonts library. 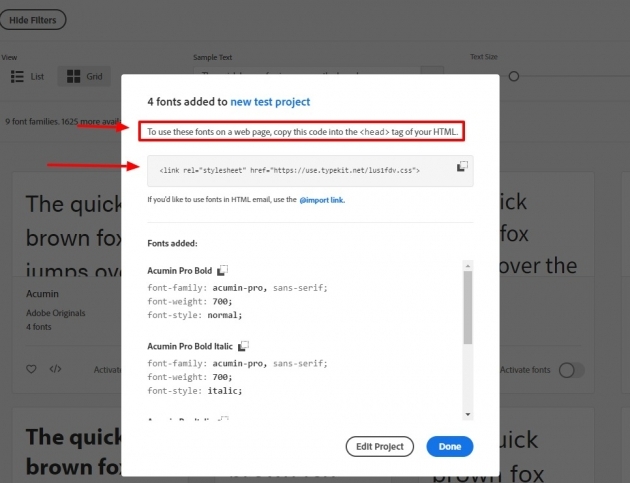 When you find a font you like, click the button to add the family to a web project. 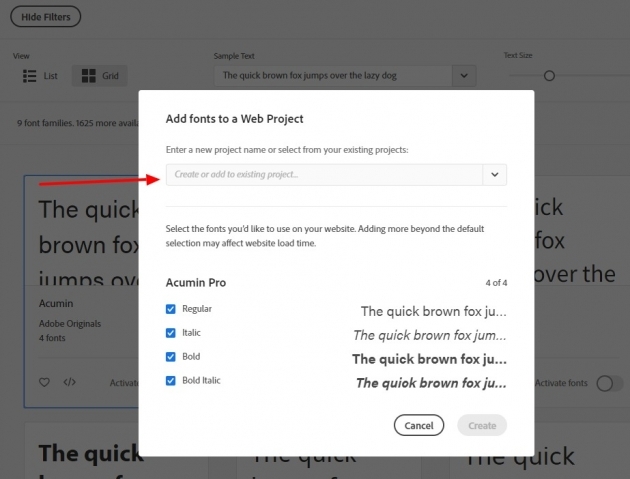 Click on that button will open a popup window to give you the option to create a new project or add font on the existing project. Depending on a particular theme you are using, you may need some more specific code to style all the elements you need, so feel free to contact our support for any additional help.